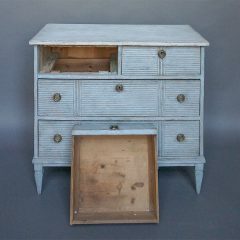 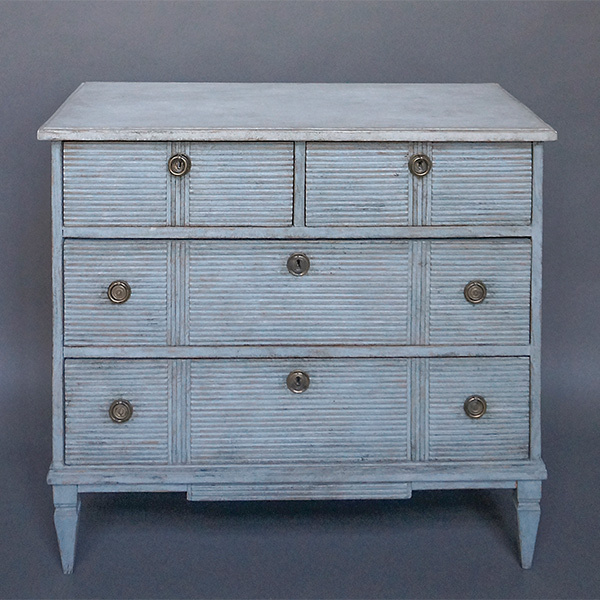 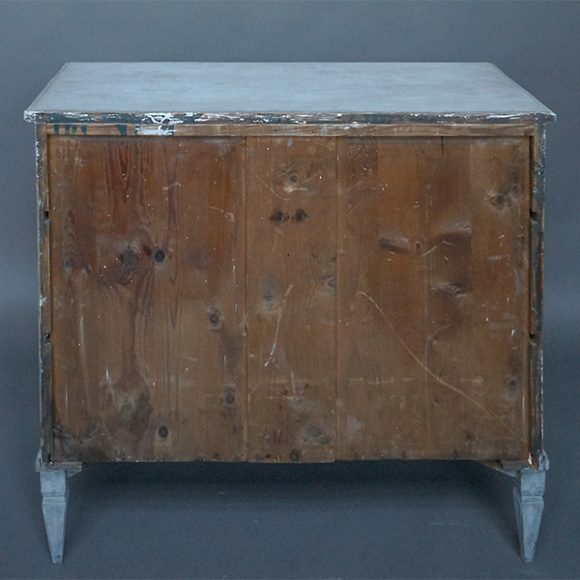 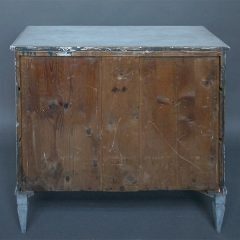 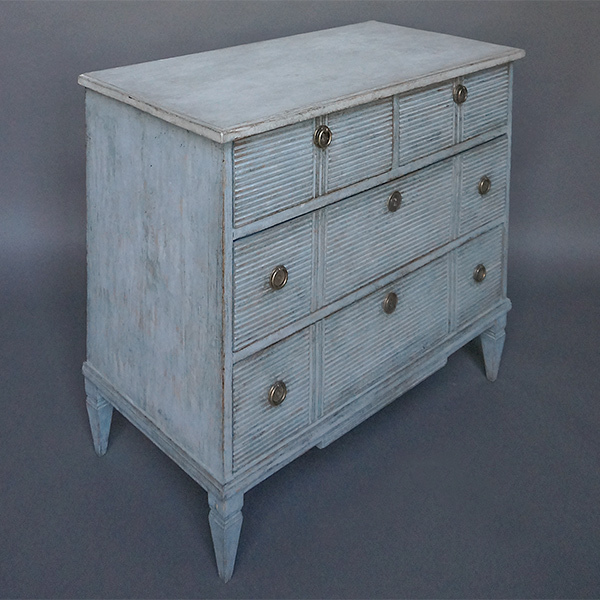 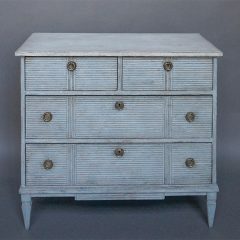 Swedish chest of drawers, circa 1860, with two half-width and two full width drawers over a shaped apron. 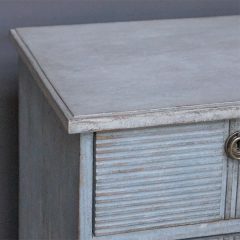 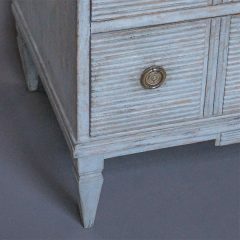 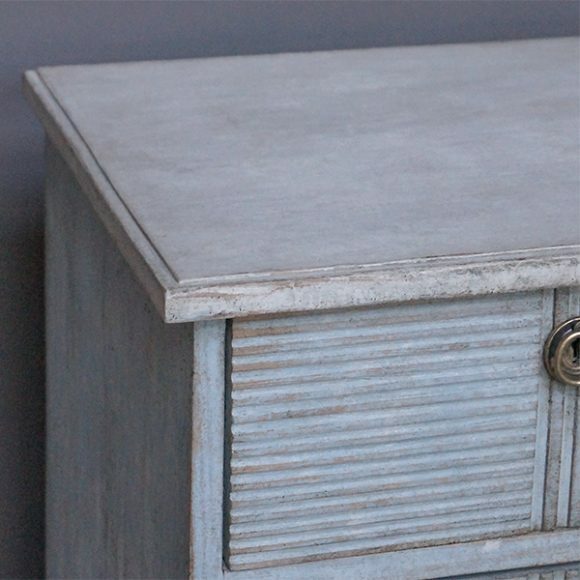 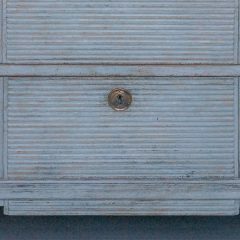 The horizontal reeding on all drawer fronts is interrupted with bolder vertical lines. Tapering square legs; brass pulls.